WOW! Third grade has certainly changed since I was roaming the hallways back in the 70’s. Back then science to me was keenly disguised as hiding from the “Evil” Soviet Empire potential atomic attacks by sitting in the hallway next to your buddy, tucking your head between your legs and kissing your A#% goodbye. The hypothesis was akin to playing possum when a grizzly bear was walking into your home after a long winter’s nap. In third grade, first place went to someone who figured out the basic mechanics of creating a personal GPS (Global Positioning Satellite) and second went to a smart little kid who created a simple way to track radio waves penetrating his home. There were other great projects including volcanoes, oil and water, bean sprouts, organic pesticides, vegetable based paper, airfoil efficiencies, etc. and to me each entry was worthy of an award. As I wandered through the auditorium from one exhibit to another I could not help but reflect how in today’s world of social media and the internet, the power to create personal PR and marketing of oneself starts as we are born. Prior to the current world of social media and internet search, people could go through most of their life without putting that much attention in the area of personal PR or marketing. Of course, grades, athletic excellence, good work habits, solid production records and a well crafted resume always play a part. But now, were at an entirely new level of personal access to tools that can be used for good or bad PR and marketing. The same rules that apply to a company now apply to each of us. One mistake documented by someone with a smartphone can end up destroying a life by viral flows across the web. I hear from nephews and nieces in college that they are coached on the ramifications of social and search PR, things I’m honestly glad I did not have to contend with while growing up. As a business owner, these concerns certainly are part and parcel of our daily life. Unfortunately, one of the downfalls of the web is that anyone can publish most anything, true or not. 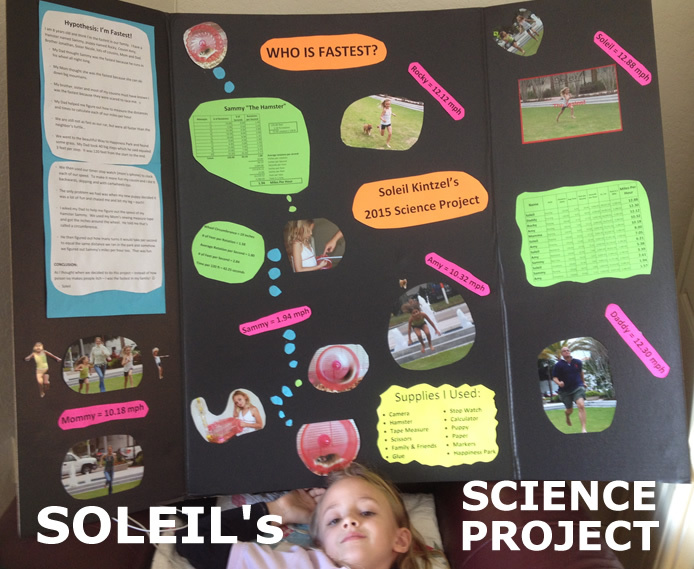 As I helped my daughter with her most current grade school science project, I was unable to distance her creation from today’s modern world of PR and marketing. Actually, we are all now naturally incorporating the value of social media and internet search into our daily lives. Helping children learn the value of ethically driven personal PR and marketing done correctly over time can most definitely add to their overall pursuit of their dreams. After all, it’s still a PR world.